We are all unique and valued members of the St. James family sharing learning, love and laughter as we follow the teachings of Jesus. "Parents say that teachers and school leaders go the extra mile for their children and this makes the school special." 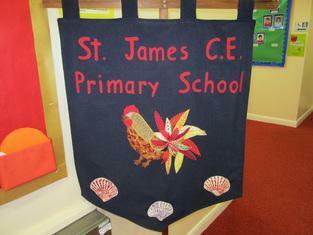 At St James C of E Academy, we work together in a welcoming, caring Christian learning environment. We actively encourage each child to achieve and celebrate his/her own unique potential, to respect the beliefs and ideas of others and to become a happy, responsible and considerate person in God’s world. Having close links with the local churches. The quality of our pupils’ learning and the environment during the primary years are critical in laying down the foundation for subsequent learning and development; our successes are important in helping our children to become happy, caring adults who will make a positive contribution to their communities .